This introduction to “how to supply to Dong Energy” summarises its scale of operations at the port of Barrow in Furness, in the Irish Sea, forthcomng projects, the likely supply chain pre-qualification and accreditation (Achilles) requirements and how to find emerging Dong Energy contract opportunities. what assistance is on offer to position your business or collaborative venture to bid for and potentially win work with Dong Energy. We also gather and offer intelligence from a range of sources that firms can use to develop their business cases to be part of Dong’s Supply chains on the east and west coast of UK. Dong Energy’s facilities are situated within Associated British Ports PLC Barrow’s port area. 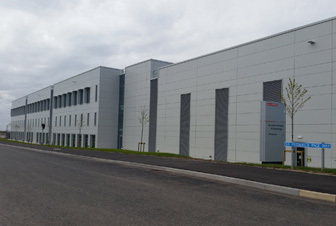 They occupy over 7,700m2 floor space at The Waterfront, Barrow in Furness Business Park and port of Barrow where currently over 180 people are employed in supporting the offshore operations and maintenance of the Barrow, Walney 1, Walney 2 and West of Duddon Sands wind farms. During construction of the Walney 1 wind farm over £1m month was spent with local suppliers. Now that operations and maintenance predominates a much wider range of suppliers and supplies are likely to be needed over the next twenty plus years. 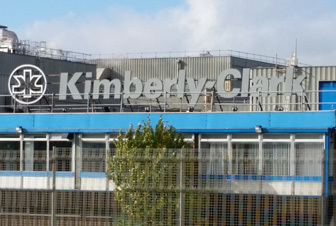 The UK is one of Dong Energy’s key markets for growth outside of Denmark. This webpage sets out the policy of the company. 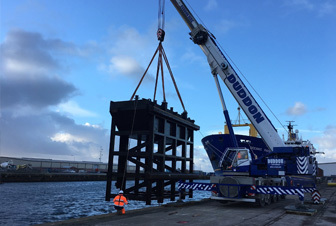 The company is committed to increasing its UK supply chain for offshore wind in line with industry and Government ambitions to realise the opportunities the growing offshore wind market can offer to the UK. 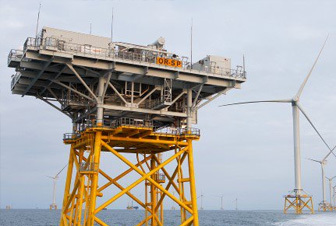 Suppliers are a vital part of Dong’s success as a market leader in offshore wind and also in helping it achieve its cost reduction goals for offshore wind. Building relationships with capable, competitive and innovative suppliers is essential to delivering new projects successfully. Whilst the company states that “Some of the main turbine parts must still come from other parts of Europe.. many of the suppliers needed to build and operate a wind farm are already here. That could be anything from design engineering, environmental surveys of our sites or the fabrication of components”. Engage directly with local supply chains and help them understand our processes and qualifying systems. Work with our current supply chain to identify new opportunities to work with UK companies. Encouraging inward investment by the global supply chain into new manufacturing facilities in the UK. Encouraging first tier suppliers to utilise local suppliers and establishing contact between local UK suppliers and first tier suppliers so they can form business relationships. Hosting regular supply chain forums which give local suppliers the opportunities to understand our business plans and approach. Making sure its processes for becoming a supplier are clear, transparent and easy to follow. DONG Energy Wind Power know that suppliers are a vital part of our success as market leader in the offshore wind business. It values relationships with oits suppliers and welcome new suppliers to be part of its supply chain. DONG Energy Wind Power has a global qualification system framework in cooperation with Achilles who operates the systems. DONG Energy Wind Power’s intention is to make the process of doing business with DONG Energy Wind Power easier for the majority of the procurement we do, as this qualification system framework will enable us to streamline the way we engage with suppliers in different locations/projects, how we qualify them and share that information across the DONG Energy Wind Power business. Our aim is to reduce the cost, time and effort involved in doing business for both DONG Energy Wind Power and our suppliers. Do you wish to qualify as a supplier? In Procurement Dong Energy is committed to delivering a low cost and robust sourcing basis and where commercially advantageous will look to engaging directly with our supply chain. Where it is not commercially advantageous we will be working with our current supply chain to identify new opportunities. Wherever we operate, Dong seek a positive engagement with the local community. This has helped development of local economy and supply chain. It buys certain supplies and services in the global market, increasingly through framework agreements. Its approach of selecting key suppliers of specific supplies and services brings mutual benefits including cost reductions due to economies of scale. In general, it conducts its procurement based according to a procurement policy and through a group procuremen system desribed below. Group Procurement is in charge of negotiating and concluding procurement contracts　on goods and services for the entire DONG Energy Group. The role of Group Procurement is to　enter into　contracts that will create value for the entire DONG Energy Group, which is achieved by utilising synergies throughout the Group and by negotiating effective financial and legal conditions　for the procurement. In addition we create value by strategically utilising our knowledge of the market. Exploration & Production Procurement – Responsible for procurement　to the part of the Group　that is in charge of exploration and production of oil and gas. Sales & Distribution Procurement – Responsible for procurement　to the　part of the Group　that is in charge of sale and distribution of power and gas. Power Procurement – Responsible for　procurement　to the　part of the Group　that　is　in charge　of producing electricity. DONG Energy wish to　enter into a valuable cooperation with our suppliers. 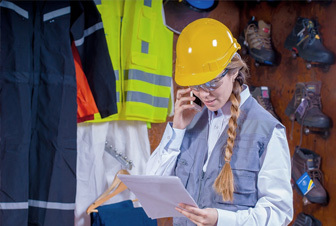 DONG Energy stipulate a range of overall ethical, social and environmental requirements　to all our suppliers, which is why all our suppliers have to comply with the DONG Energy Code of Conduct for Suppliers. The procurement procedure applied by Group Procurement when making purchases for the group. When hydraulic parts or tools are required, the Burbo Bank Offshore Wind Farm site goes to the local supplier FPI NorthWest Limited (FPI). A good working relationship has been established, and along with supplying hydraulic products, FPI have also advised the site on requirements and carried out specialised fluid power training specific to the wind power industry. FPI is a growing fluid power engineering company, situated in two locations in the North West region of England: St. Helens, Merseyside and Birkenhead, Wirral. FPI supplies fluid power products and services across industries, which besides offshore wind includes heavy industry, glass, pharmaceutical, and maritime industries. Albeit an SME and still young, the company can boast a combined staff experience of over 50 years in engineering. Being a local company means being able to offer full and immediate local support. FPI’s employees are all local to the area and have a good knowledge of the region. And not only are their own employees local as FPI often prefers to utilise local suppliers themselves to enable quicker response times. Most of FPI’s local suppliers are quality approved by the ISO 9000 standard, and FPI has long established relationships with their suppliers built up on mutual trust and respect. FPI entered the wind energy market through training and consultancy work for a major energy company. Given their experience, FPI gained an appetite for more work in this industry. They contacted other wind energy companies in their area and were invited in by the Burbo Bank Offshore Wind Farm site to discuss their requirements further. FPI’s knowledge of the industry and the locality of the company helped to establish the good working relationship they now have with the Burbo Bank site.